Trinity Tariffville is involved in and supports many global mission activities. Learn more about some of them below. Trinity began a partnership with the Anglican Diocese in Kaduna in 2002 through our friendship with the then Archishop of the Diocese of Kaduna, Josiah Idowu-Fearon. (Bishop Josiah is now Secretary General of the Anglican Communion). 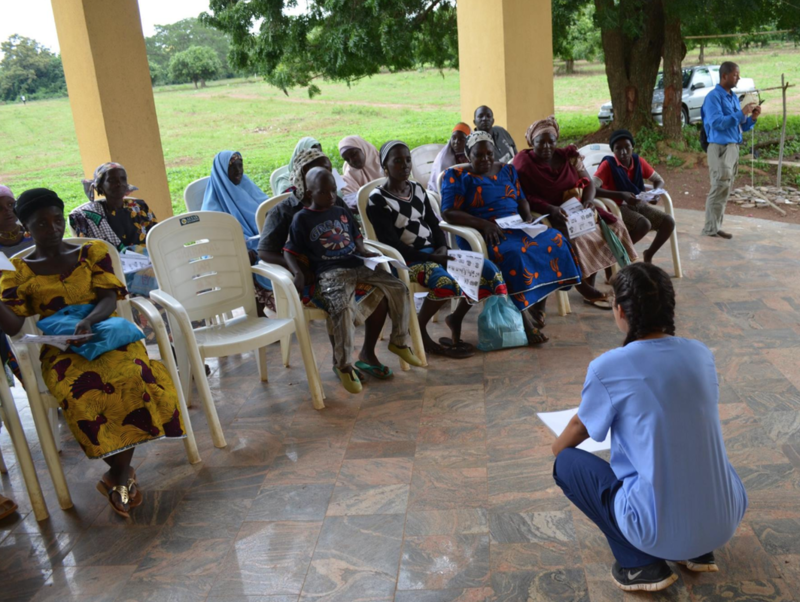 ​The Kateri Vision is to provide simple decent medical care for poor Nigerians, both in rural and urban settings, who otherwise have no access to medical care. This organization currently works with the Anglican Diocese of Kaduna, Gusau and Kafanchan to build and run clinics. 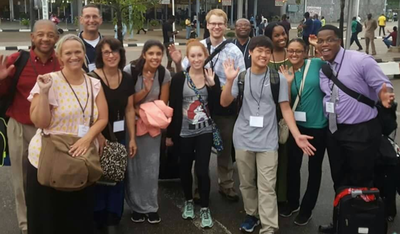 They also work in partnership with FaithCare, a faith-based non-profit based in Hartford, Connecticut, to conduct intensive medical missions every summer. ​Since 2003, the organization has helped more than 200,000 people with medical care, with many at Trinity participating in raising and donating funds and traveling to Nigeria every summer to staff the clinics. Learn more here. Follow them on Facebook here. Trinity supports the African Education Partnership through a parishioner who founded the organization and serves on the board. This organization's vision is to prepare and equip a future generation of leaders in Nigeria by ensuring that education will be accessible to all and free of the gender, ethnic, and religious tensions that plague society. ​This education is meant to foster understanding and cooperation among students of all backgrounds and promote peace and reconciliation. ​Find them on Facebook here. 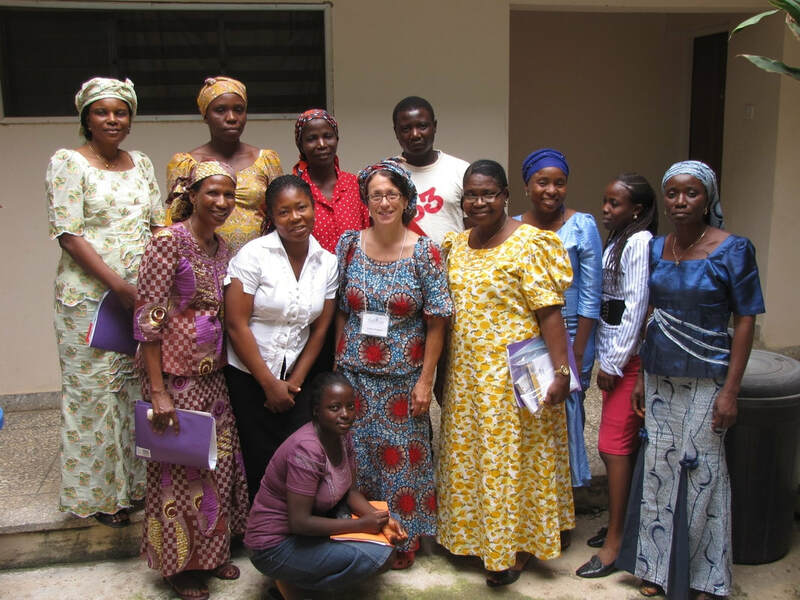 Trinity parishioner providing teacher training through African Education Partnership. SAMS supports short-term and long-term missionaries to reach others with the Gospel in an ongoing and continuous effort. 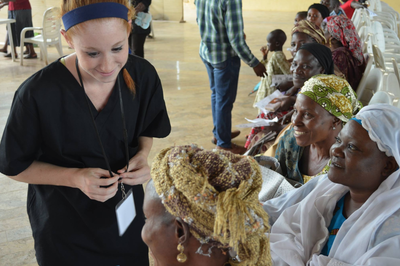 SAMS missionaries share the love of Christ in word and deed through servant relationships. Trinity has a relationship with and supports a number of SAMS missionaries. SAMS missionaries supported by Trinity include the Firestone Family, Shaw & Julie Mudge, and Tom & MaryJane Furrer. 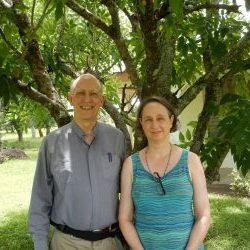 ​Click on the photos above for more information about their ministry. SIM is an international mission organization with more than 4000 workers serving in more than 70 countries. SIM members serve God among many diverse people groups in every continent. ​Trinity supports SIM missionaries Corey and Katie Garrett and family, serving with SIM in Senegal. In 2016, the Trinity Outreach Support Commission gave $1000 to Corey and Katie Garrett to support their work in Senegal. Trinity participates in Operation Christmas Child. ​In 2017, our parish sent 142 boxes to children around the world. 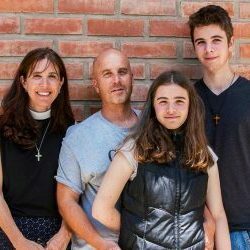 Led by a former curate at Trinity Tariffville, Whis Hays, Rock the World equips, engages, and empowers young people to follow Jesus and advance the Kingdom of God. A number of people at Trinity support Rock the World financially and with prayer, and some students have participated in the Rock the world Josiah Project. The Trinity Outreach Commission gave $1500 to Rock the World to support their work in 2016. Some Trinity members provide financial support to Cru, which ministers on college and high school campuses, on military installations and bases, and more. Speakers from Cru visit Trinity once a year or so to update us on their ministry. The Trinity Outreach Support Commission provided $1000 in 2016 to Indy and Dawn Little from Cru to support their work training college students to be leaders. 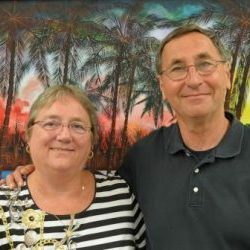 The Trinity Outreach Support Commission supported Allan and Tricia Beeber with $1000 in 2016, to help with their digital ministry throughout the world. The Beebers come visit Trinity when they can to report about their ministry and renew friendships with parishioners. Camp Hispaniola provides a week of summer camp in Haiti and the Dominican Republic for children. Some members of Trinity provide financial contributions to the camp. Sudan Sunrise works with individuals from diverse religious backgrounds and identities facilitating reconciliation efforts to ensure lasting peace in Sudan and South Sudan. Some of Trinity's parishioners support Sudan Sunrise with prayer and funding.